Just weeks after Twitter had marketers chomping at the bit with their “Buy” button Facebook announced that they too would be testing shippable ad units allowing users to make purchases directly from their timeline. In recent years retailers have become increasingly aware of the power of social recommendations – the idea of driving direct sales has been front of mind and is something that even Snapchat appears to be making plans for. While Twitter have only recently acquired Cardspring – a payments infrastructure company – this isn’t their first venture into social commerce. In May, Twitter announced a partnership with Amazon allowing users to add items directly to their shopping basket using the hashtag #AmazonCart. Facebook have also dabbled with in game purchases and the ill fated “Credits” for Facebook Gifts. 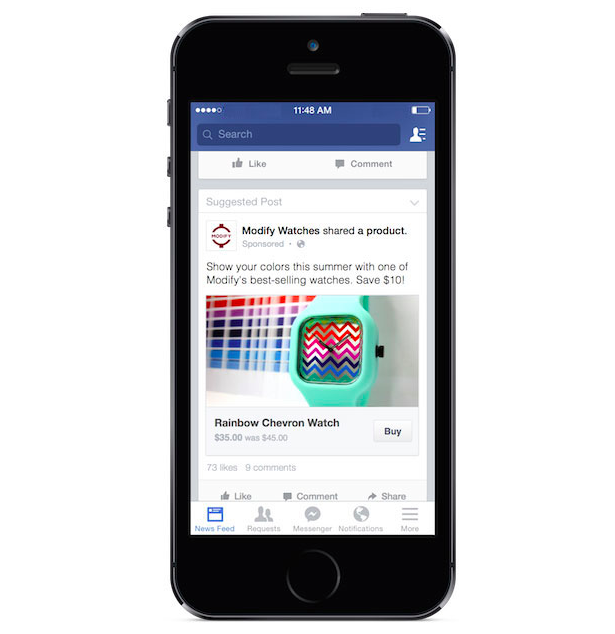 Facebook is working with select SME’s in America to test this Buy button. 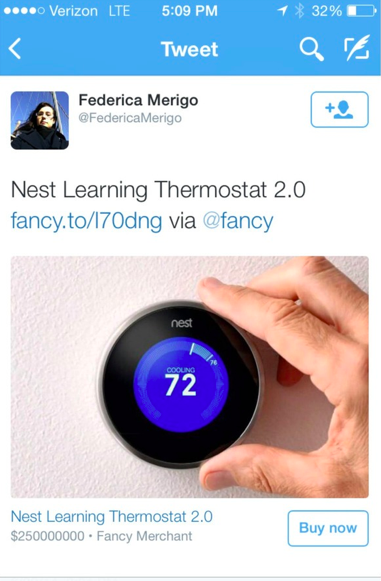 Twitter has also tested this – although the Buy function appeared only fleetingly. Twitter has already experimented with social commerce having partnered with Amazon to launch #AmazonCart. It’s an exciting step forward, but is it the right one? While there’s no denying that Facebook is still monopolizing social audiences (no, teens really aren’t leaving in their droves either) creating that instant purchase behaviour requires pretty visuals of pretty things. Pinterest or Instagram feel a far more natural fit, in fact Pinterest already drives 78 cents in sales and two website visits per pin and 70% of Pinners say they already use the site to guide their purchases. Facebook’s biggest challenge is going to be creating opportunities for retailers more seamlessly without interrupting a user’s experience – traditional approaches to e commerce aren’t going to cut it either – research has already shown that Facebook has the highest conversion rate for sales but with an on site function it will be interesting to see just how this translates. If you’d like to talk about how social commerce might work for you then get in touch with us here.